How to burn M2TS to Blu-ray disc? 1. What is DVD authoring? 2. Why do we choose Blu-ray? We live in a world where you can capture beautiful HD footage with just a few taps on your smartphone. If you have a creative soul, you can easily make high-quality movies, amateur films or simple videos at home. However, all of this footage is relatively useless without powerful editing and publishing tools. If you Google “how to make the best videos”, you would probably find DVD authoring software listed high on the top. So what is DVD authoring? These programs not only allow you to burn videos onto a disc, but they also transform your raw footage into a highly polished video disc that you’ll be proud to share with your family and friends. DVD authoring is the second step in the process of producing finished DVDs. The first step is the creation of the movie (or programme) and the second, the authoring, is the creation of artwork, user menus, insertion of chapter points, text, music, overdubs/commentaries, animation, setting autoplay, repeat settings, and more. In short, authoring here means creating and composing. It is video post-production, turning your project into a complete viewing experience that’s enjoyed on any of the following method: DVD and Blu-ray players, computers, mobile devices, USB flash drives and Internet streaming. The final step is the manufacturing (replication) process to mass-produce finished DVDs. 2.Why do we choose Blu-ray? Blu-ray or Blu-ray Disc (BD) is a digital optical disc data storage format. It was developed by the Blu-ray Disc Association in October 2000, and the first prototype player was released in April 2003 in Japan. Blu-ray is now the standard HD format that will quickly be replacing regular DVDs in that it is capable of storing hours of video in high-definition (720p and 1080p) and ultra high-definition resolution2160p resolution (3840×2160 pixels), at up to 60 frames per second. DVD-Video discs had been limited to a maximum resolution of 480p (NTSC, 720×480 pixels) or 576p (PAL, 720×576 pixels). The main application of Blu-ray is as a medium for video material such as feature films and physical distribution of video games for the PlayStation 3, PlayStation 4, Wii U, and Xbox One. The name “Blu-ray” refers to the blue laser (specifically, a violet laser) used to read the disc, which allows information to be stored at a greater density than is possible with the longer-wavelength red laser used for DVDs. 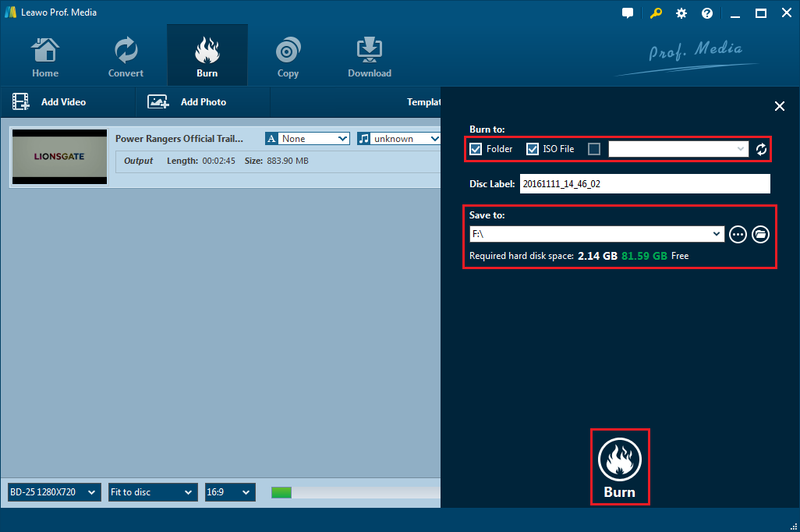 As an all-inclusive Blu-ray DVD burner software combo, Leawo Blu-ray Creator could burn video to Blu-ray/DVD, and burn Blu-ray/DVD photo slideshow from 180+ file formats, including: MP4, AVI, MKV, FLV, MOV, WMV, MPEG, VOB, MTS, JPG, BMP, etc. It could handle Blu-ray/DVD burning tasks like AVI to Blu-ray/DVD, MKV to Blu-ray, MP4 to Blu-ray/DVD, and others at the same time. It enables you to burn video to Blu-ray/DVD from various origins like camcorder video, smartphone recorded footage, downloaded online videos, saved screen activities, etc. You could burn video to Blu-ray/DVD disc, folder and/or ISO image file as you like in BD50, BD25, DVD5 or DVD9. You could also burn ISO image file to disc freely. Leawo offers 40+ preset disc menu templates in 8 different categories: Standard, Business, Childhood, Education, Holiday, Nature, Sports and Wedding. 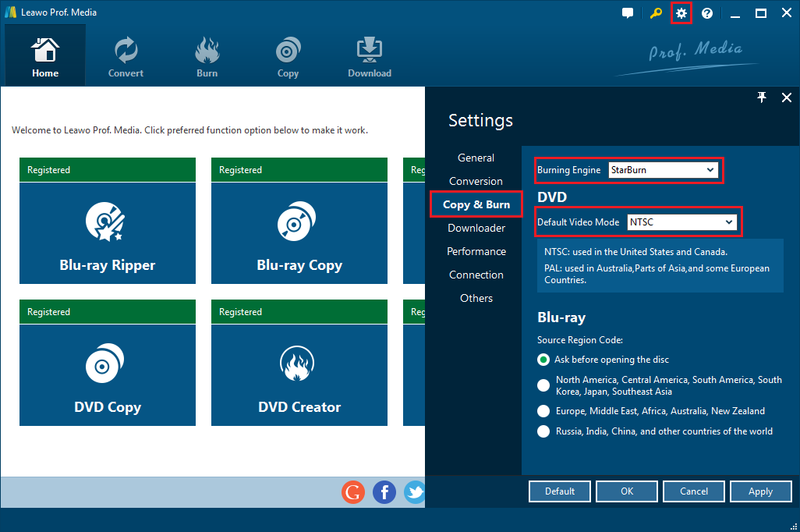 Each category includes multiple free disc menu templates for you to download and apply to output Blu-ray/DVD content. What’s more, you can even burn 4K blu-ray films to disc if you choose the right program to do so! Step 2: Introduce source videos. Under the Burn menu, click the drop down box of Add Video. 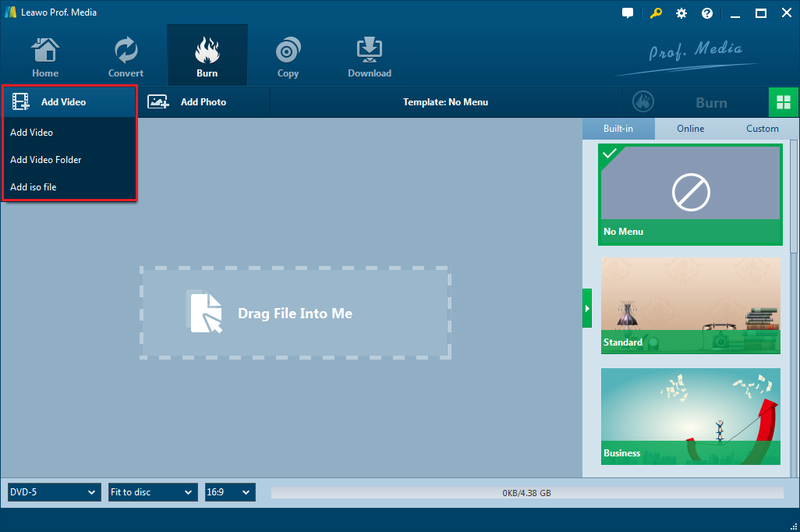 You can introduce videos by add video, add video folder, add ISO file or directly drag file into the program. Step 3: Output settings. You can name the film; set its resolution, aspect ratio and quality; you can edit the video and the disc menu, choose the subtitles and sound tracks you like, and you can go to the Settings to choose the Burning Engine and Default video mode by click Copy & Burn. Step 4: Burning settings. Click the green Burn button to draw a sidebar. You can burn the file to a Blu-ray/DVD folder or to ISO file by put a click in the Folder or ISO File box respectively. 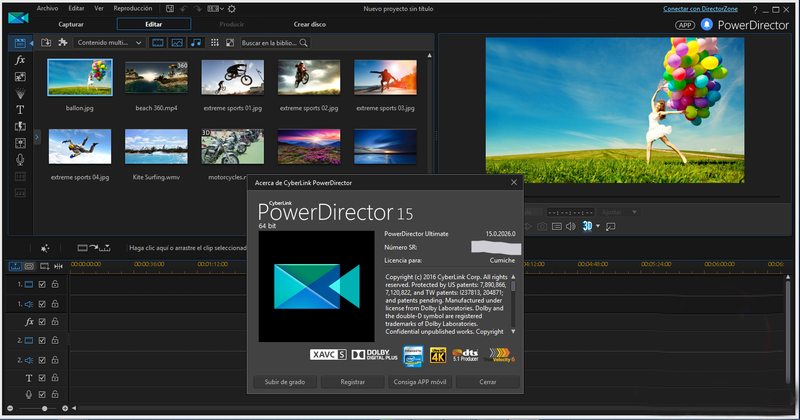 CyberLink PowerDirector Deluxe is DVD authoring software which combines powerful video editing and DVD maker tools together that allows you to take your raw footage, transform it into a beautiful, entertaining video and then burn it onto a disc that you can share with family and friends. However, there is no Mac version of this software. 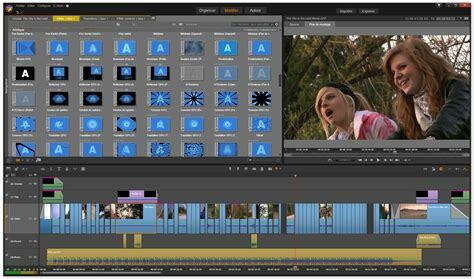 You can build and burn a brand new, fully functional DVD in less than an hour with Corel VideoStudio Pro X8.5. But its transitions and effects libraries are small compared to some other DVD makers in our review. Pros: With more than 1,500 options out of the box, the transitions and effects libraries dwarf those of the competition. Cons: You only get six tracks to edit with. That’s enough to accomplish your goals, but not enough for the fine-tuning work that advanced users want. 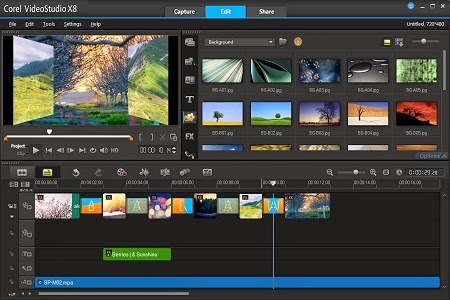 MAGIX Movie Edit Pro 2016 is a user-friendly application that has great DVD authoring features. In addition to helping you create professional-looking discs, this DVD maker software has powerful editing tools that allow you to transform your uncut home video footage into something truly remarkable. Pros: The video editing tools with this DVD maker are among the most complete of any program in our review. Cons: You can’t add bonus features to your disc or save its ISO file to your hard drive. 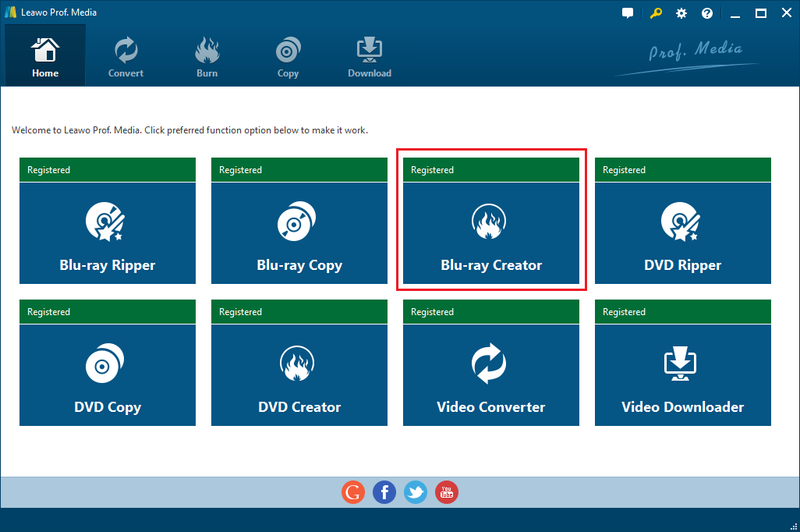 Leawo Blu-ray Creator has an internal menu designer enables you to design disc menu at will including: add background music/image/video, change title position and content, adjust text color, size, font, etc. You could make your own disc menu template and save for future use. What’s more, Leawo Blu-ray Creator acts as Blu-ray/DVD photo slideshow burner to burn photos to Blu-ray/DVD directly, allowing you to adjust photo slideshow effect via the internal photo slideshow editor. 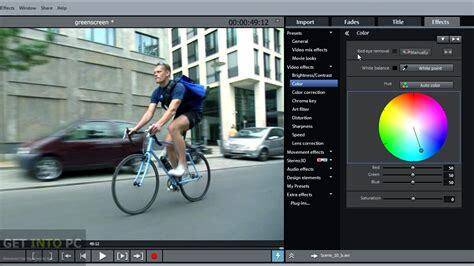 The built-in video editor brings more fun for getting personalized Blu-ray/DVD content, like clip, trimming, watermark, black margin removing, 3D movie effect, etc. Calculating your budget, what functions do you actually need, resolution and quality, when you are having a hard time choosing the best BD authoring software, my answer is clear: If you are seeking a authoring software that is cheap, user-friendly, beautifully designed and provides you the best HD experience. Leawo Blu-ray Creator is your best choice!